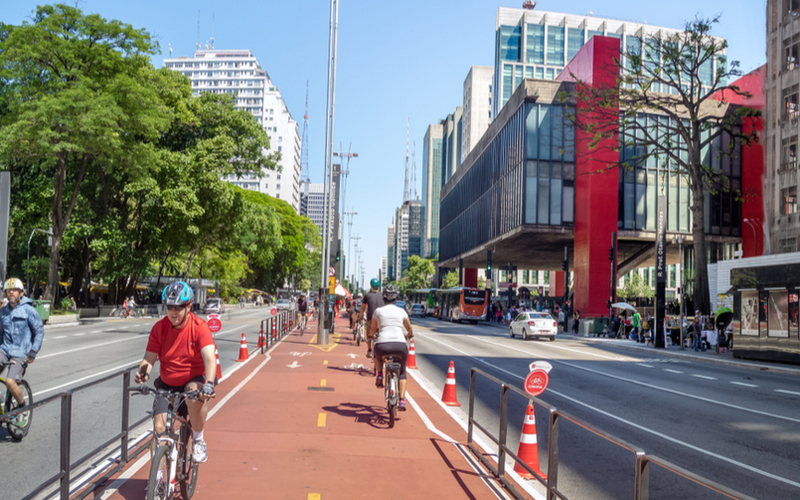 Ineffective or unsafe public roads can be transformed into highly useable spaces, and it often takes less money and construction than you think. We are going to look at a few different scenarios in which an ineffective and unsafe public road in New York was transformed into a much more effective and beneficial space. Add seating areas, planters and other features that can serve a double purpose; they look good and offer an added barrier of protection to pedestrians. Create a community gathering space where local events can be hosted, from art installations to farmers markets. Located on the Lower East Side and Chinatown, Allen and Pike streets were not only ineffective but unsafe for pedestrians and cyclists. Traffic was fast and weaved throughout the street during low traffic times. There were three motor lanes, as well as a parking lane and a bike lane. Pedestrians crossing the street were forced to walk over 100 feet to reach safety, plus there wasn’t safe access to the median malls because vehicles would block access as they turned onto the street. Double-parked cars were a common problem, which lead to clogs in the bike lane that forced bikers to ride into traffic. Overall, the whole situation needed some help. The first step community members took to implement changes was through hosting workshops where community members could share ideas on how to transform the streets into a much more user-friendly boulevard. The New York City Department of Transportation approved these requests in 2009 and set to create a development plan. To improve the Allen-Pike streets, the three travel lanes were reduced down to two, and a left-turn bay along with right-turn curbside bay were added. Traffic laws were changed, banning left turns from northbound and southbound moving vehicles. Bike lanes were relocated to the inner curb nearest to the pedestrian mall. Barriers were added to improve safety for bikers. In addition, left-turn signal phases were installed at the left-turn bays so that pedestrians and cyclists could safely and easily cross the street to the mall. The surrounding malls were all connected using vibrant plazas with seating and planters. As a result, cross-streets that connected to the area were closed, but it was realized they offered little benefit to traffic anyway. Instead, they only served to clog up crosswalks and intersections, and take away from the safety of the bike lanes. The entire project was affordable to complete and only simple changes to pedestrian infrastructure were made. Many conflicts were eliminated, and pedestrians and bikers now enjoy safer access to the area. The project is now home to lush plants, art installations, and the mall has even expanded. The plants and seating areas provide an additional buffer between traffic and pedestrians. Since these changes to Allen and Pike Streets, there have been 12% fewer injuries and 9% fewer crashes. This proves that these changes truly make the space safer. Once upon a time, Pearl Street was home to a few disjointed parking spots smack in the middle of the road. The spots were uninviting and did nothing for the overall look or feel of the neighborhood. In accordance with the New York Plaza Program, Pearl Street has since been revitalized into a vibrant public plaza with colorful umbrellas, greenery, seating areas, and plenty of walking space. This drastically changed the space into somewhere locals could come to hang out. The project has proved beneficial to locals, tourists, and businesses in the area. There were many mobility and safety concerns associated with the Broadway corridor in Midtown Manhattan. Work on the project was conducted between 2009 and 2015, the end results were quite impressive and include new pedestrian plazas in Times Square, as well as the Herald Square area. The project also included improvements to safety between Columbus Circle and Madison Square. We are proud to play in a role in the redevelopment of many public squares, including Times Square. Our planters are featured throughout the design and were chosen based on their durable and maintenance free qualities. Plus, they are made right here in the USA using sustainable materials and methods. Low maintenance fixtures and furnishings are key to the long-term success of any pedestrian plaza. 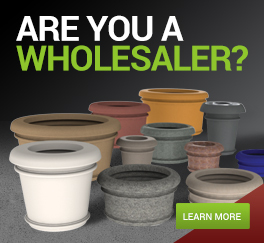 TerraCast Planters are resistant to rust, corrosion, stains, and a great deal of impact damage. Not even graffiti can stain our planters!